I hope my memories serve me well in the following paragraphs, but this is as I remember some of my times at Barling School. Yes Bob, I do remember the toilet block, I can remember running across the playground in the middle of winter, in six inches of snow, with the snow falling very heavily, just for a pee. The garden at the back of the toilet block, was owned by Mr Theadom. In better weather I remember seeing him hoeing his garden amongst an array of colourful flowers and vegetables, very reminiscent of Mr McGregor from the ‘Peter Rabbit’ stories. Do any of you also remember the smells of school? How about the old P.E. Store, a brick building at the side of the playing field, the aroma of dubbing, linseed oil and the leather of the medicine balls, that seemed as large as we were and just about as heavy! The lovely smell of school dinners that always seemed to consist of Greens and tapioca cooking away, possibly together, however, I don’t think dear old Mrs Waller, the cook, would have done that? I also used to sometimes go to the School with my Grandmother, the School Cleaner/Caretaker, Mable Bradbury and clean the floors with a type of sand mixed with Jeyes Fluid, which she and I dutifully swept around the whole area of the School interior and then cleaned the sinks with Gumption. Those smells; amongst others, that I promise I won’t mention. I tried to think of the answer to the question raised, about the football shirts and where they originated from. They were a little long but somehow they don’t seem to be too large in the accompanying picture. So were they really, Great Wakering Rovers Cast offs? I will leave you to try and remember who we all are from left to right in the picture. I will give you a clue as to who the good-looking one is, on the top left, by saying, wasn’t he thinner there! I also have memories of going to an open air swimming pool at Battlesbridge, a weekly occurrence in the summer, in my later years at the School. The water was always cold and the sides of the pool were high, which made it difficult to get out. There was a springboard as I remember, which of course all the lads enjoyed using to show off their diving skills. 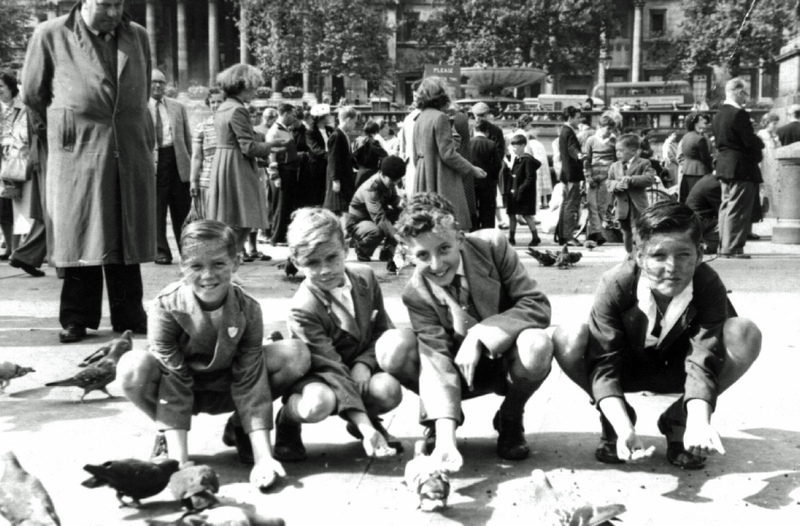 The next picture I have found, was of the School relay team, we in fact won the Essex Schools, four by one hundred meters, one year and as a treat, the team were taken to London, to see all the sites, by Mr Learmond. Would it have been on a steam train to London, I seem to think it was, what a great era? Finally, I recall an incident in the R.I. class, with Mrs Horner. After doing my regular duty of filling the coke bucket before class, we started a Religious Instruction class with Mrs Horner. As was the way of our teacher, she used to get carried away with her story telling and sometime into our lesson, standing next to the open fire, as she did to warm herself quite frequently in the cold winter months, she gave out a roar, promptly propelling the top set of her false teeth into the newly filled coke bucket. Without further ado, the slightly blackened teeth were hurriedly brushed off and returned to their original position. Did we laugh, did we heck, we knew better than to do that, but of course, we did however, fall about laughing in the playground later. That was a story that went about for several months, I can tell you. 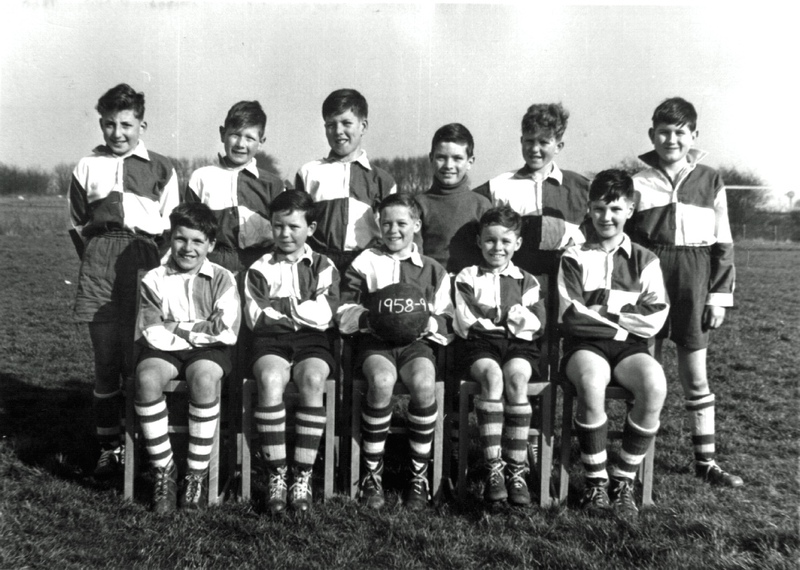 Well I hope you have all enjoyed reading about just some of my memories of Barling School, as much as I have had recalling them and putting them to paper. This article answers the question about the above photo which was submitted by Barbara Elliott and included in ‘Small Beginnings’, Summer 2017, Edition 37. The question was “Does anybody know where and when this photograph was taken and whether or not there is a little story that goes with it?”. As you can see the photograph is titled ‘A day out in London’.